Meet the Giant African Land Snail. I see lots of them on my walks, especially after a soaking rain, but this one was by far the largest I've ever seen. Some people stomp on them whenever they see them, but I am always reluctant to kill living creatures (except for mosquitoes actively trying to bite me). Now that I've read the Wikipedia article - http://en.wikipedia.org/wiki/Achatina_fulica - I will not be so reluctant in the future. I knew they were an invasive species, but that they spread a dangerous Meningitis to humans does concern me. 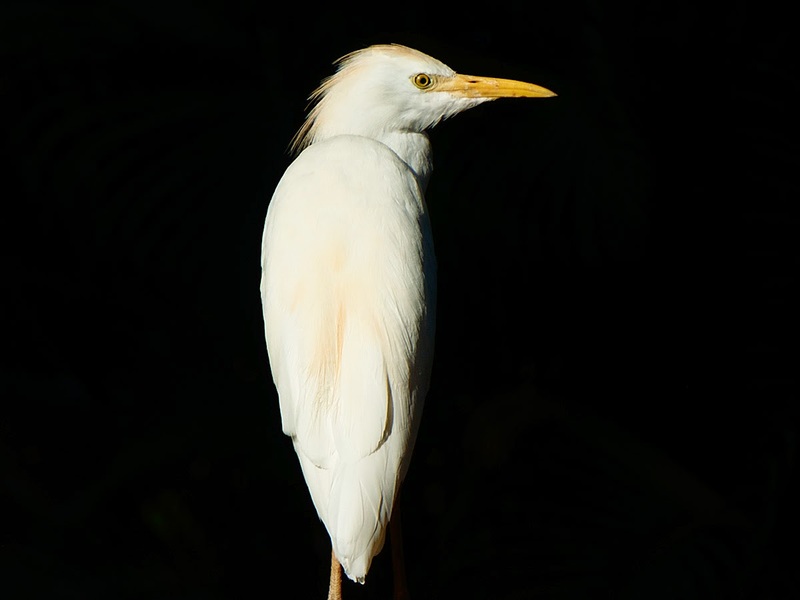 I also see a lot of Egrets, but liked the way this one was brightly lit by the sun and perched before a darkly shaded background.